Learn from business and industry experts about the How’s and Why’s of Coaching and Training for performance. Find the right coach for your challenges and goals. Check our hints, tips, thoughts and questions to assist in that important decision. It starts with a focus on your vision - what do you want to achieve in your business, personally, and for your family? Learn how the FocalPoint Way can help you reach, and exceed, your goals. Successful happy clients say it all! Millions of professionals and thousands of companies both big and small have created success with FocalPoint and Brian Tracy! Enjoy a No-Obligation Coaching conversation 100% focused on your needs, gaps & goals. We promise value in our time together. Guaranteed. Is your business heading in the right direction? Never in history have business owners needed to know more and do more to be successful, and sustain it. Nothing happens until a sale is made. 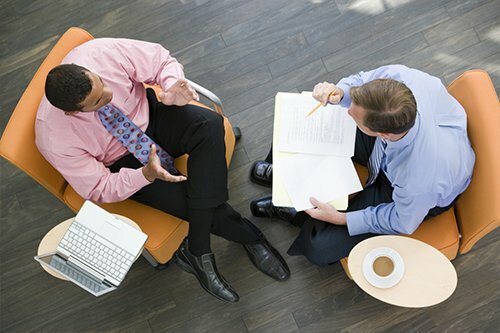 Training & Coaching to quickly & measurably improve both sales and bottom line results. Too much to do, too little time? Coaching & Training that will immediately create time, space and energy to maximize efficiencies and productivity. The race is on, and you are In it.Training & Coaching in the most dynamic and changing environment the world has ever seen. Those willing to adapt – win. Blow away goals through enhanced communication, culture and better hiring. Establish meaningful goals by knowing your numbers and how you compare. 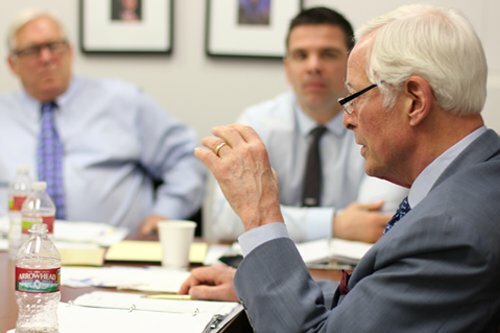 Enjoy and learn with thought leaders Brian Tracy and our Team of experienced successful Coaches. Stay current with business news, trends and events with FocalPoint’s Monthly Newsletter. Teaching’s you can implement immediately in your business, career or department. FREE Ebooks in their entirety! Learn, enjoy, adapt and implement. Learn how you or your company measures up in important business areas. FocalPoint founder Brian Tracy has addressed over 5,000,000 people in 4000+ talks in 80 countries. His work spans 30+ years , 70+ books and 300+ audio series of performance business strategy. The proven success of Brian Tracy. The calm energy and passionate leadership of Stephen Thompson. The high energy and talented performance coaching of Dom Rubino. Our 200+ coaches in numerous countries bring decades of senior level experience. CEOs, CFOs, Presidents, VPs, GMs, Managers, and Owners - plus school of life experience! Leaders among leaders on a mission to transform your business. Are you “done” with the corporate world? Would you like to control your future? How about earning what you’re worth? Have a look at the FocalPoint team. Whether you're ready to take on coaching or training, want to learn more about getting involved in business coaching, or have general interest questions please reach out - we’d like to help. Hiring a business coach is a big decision. It is also one of the best decisions you can make for your business. There are a lot of coaches out there these days, so how do you find the right coach for you? Here are 9 things to look for when hiring a coach. Experience: Your business coach should have extensive and applicable experience in the business world. In order for a coach to be effective, they need to have "lived it". They must have experienced many of the challenges their clients are facing. Outside Perspective: Your business coach should provide a clear outside perspective of your business. Some prefer to hire a coach that works specifically in their industry. While this can be valuable in certain situations, it is very often the "fresh look" from someone outside of that industry that provides the most value. Proven Systems: Your business coach must have a proven, consistent system by which they guide you and your business. If your coach "flies by the seat of their pants" and moves around from topic to topic with no organized process, this may be a warning sign. More importantly, your coach and their system must be demonstrated to have produced quantifiable results for their clients. Aligned with Your Goals: Your coach should be able to be flexible and focus on your goals, needs, and concerns. If you express a desire to focus on a certain area of your business, your coach should respond to and satisfy that request. No Fear of Numbers: Good coaches measure the results that are achieved with their clients. They want to make sure that their clients are getting a substantial return on their investment in coaching. You should know what kind of return you are getting. The Accountability Factor: One of the many reasons why coaching is so effective is because of the accountability factor. Your coach should hold you accountable to your commitments. If he/she doesn’t, this is also a warning sign. If you want to move your business forward, you need to be held accountable. Empathy: As business owners, we all have periods of frustration and need to vent. Your coach should listen and let you vent, but not jump into the "pity party" with you. Once the venting is over, your coach should be guiding you through possible solutions to address the problem. Enthusiasm: Second only to you (and perhaps your spouse), your coach should show that they care completely about the success of your business. Their outlook should always be positive and solution oriented. Confidentiality: You must have the utmost trust in your coach, having 100% confidence that everything you discuss in your sessions remains confidential unless you have given permission for it to be released. Are you asking yourself, "Why would I need a business coach?" As a business leader, often the majority of your day is spent dealing with day-to-day tasks, leaving little to no time to spend on considering and planning for the long-term success of your company. In other cases, you may be the owner of a business and an expert in your field, but find that leadership ability does not come naturally to you. These are but two examples where you could benefit through a partnership with a business coach. A business coach is your guide to starting, growing, and developing your business. They work with you to understand your unique needs and concerns and help you develop the skills necessary for success. If the feeling of having too much to do and not enough time to do it overwhelms you, you are not alone. Owning a business can be a lonely endeavor and having someone to bounce ideas off of can mean the difference between success and failure. A business coach offers an outside perspective on your business and can help identify the root of what is overwhelming you. Your coach will hold you accountable and provide feedback that will help keep you focused on business growth. The single most important factor in running a small business is a unified vision. Without clear vision or priorities, it's impossible to get where you want to be. This is especially important if there are multiple owners, but even if you are a solopreneur, the importance of a consistent vision can't be understated. Whether your business is struggling or thriving, a business coach can help you create a map for the future and stick to it. If you cant remember the last time you took a vacation - or even a day off - theres a good chance you are overextending yourself, which could adversely affect your business. Often times business owners feel doing it themselves is the best option when it comes to completing specific tasks. As a business owner, you need to delegate some of the tasks to employees. A business coach can help you get out of this vicious cycle and decide what to hand off. Being a business owner can be lonely, and the challenges are significant. Having a business coach by your side to help keep focused on the important elements in your business can prove invaluable. Do you know what success looks like for your business? Hear from our coaches as they talk about how they help their clients in setting, measuring & redefining goals for their business. 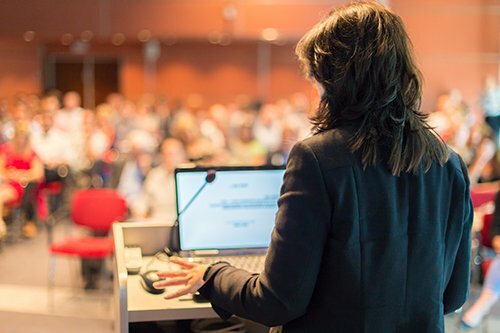 FocalPoint Coaching has been educating and motivating business owners, corporate executives and other passionate professionals to move past obstacles and accelerate their personal and business growth for more than 30 years. Over 1,000+ companies have successfully employed “The Focal Point Way”. If you are facing time, team, money or exit-strategy challenges, FocalPoint coaches can utilize our proven methods and systems, tailored for you, to reveal new ways of approaching business issues and find new opportunities that may been previously obscured by the day-to-day “grind”. Focus on Vision: The FocalPoint Way starts with a focus on your vision. What is the vision for your business, for you personally, and for your family? Where do you want to be in a year from now, five years, ten years? Focus on Strategy: Your FocalPoint coach will help you identify your vision and will guide you through a process to systematically identify the most important factors and the optimal business strategies to achieve your goals. We work with you one-on-one, helping you concentrate your efforts in the most meaningful and productive areas of your company. Focus on Understanding: An important part of the FocalPoint coaching process is education – helping you gain a crystal-clear understanding of where you are today, what resources you have available, and what obstacles you anticipate encountering on the path to reaching your vision of the future. We focus on quantifiable results, tracking and measuring key metrics so you can clearly see the gains you are making towards your goals. Focus on Success: With a clear vision, strategy and an understanding of what you will need to achieve your goals, you can begin the process of driving forward to create that vision. Your FocalPoint coach is your confidant, mentor and guide along that journey, helping you leverage your strengths, improve upon areas for development and realize previously unimagined gains across multiple areas of your company. Here at FocalPoint we clearly understand that our value as professional coaches can only be measured by the success that is achieved by our clients. Become our next success story - reach out to us and LET'S GET STARTED! 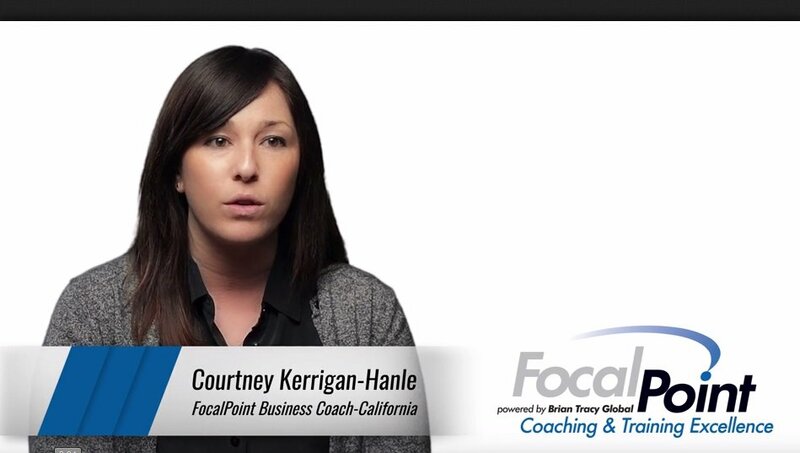 Hear from our coaches about how they employ the FocalPoint Way to help their clients to “Find Their Why” - understanding who they are and what drives them in their business. As a FocalPoint Coach, I work directly with business owners, executives, corporate teams and other professionals to change their business lives for the better. Below are a sampling of client testimonials to begin discovering what is possible for you or your business through coaching and training with me. Patricia and David were doing a good job growing their Day Spa business, however, they were facing problems with employees and profitability. Find out how their FocalPoint Business Coach helped them increase their net income by +300% in one year. The owners of a busy installation and service contracting firm lacked confidence in their field employees and were not making a net profit. Learn how their FocalPoint Business Coach helped them reduce their billing time by 90% resulting in a $10K savings to the business. 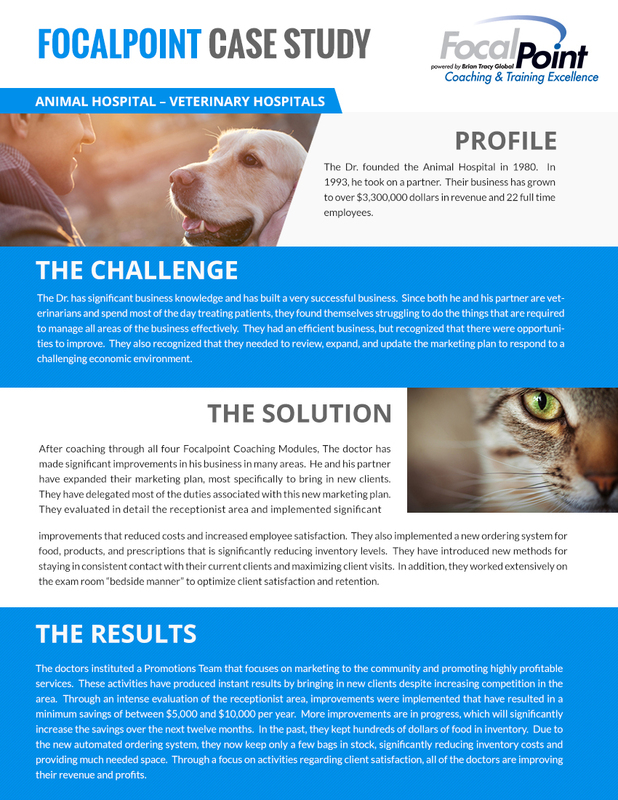 The doctors of the Animal Hospital had a successful practice but recognized they needed to increase efficiencies within the business and revamp their marketing plan. See how their FocalPoint Business Coach helped them identify cost savings of $10K/year while increasing client satisfaction, revenue and profits. You could be our next success story - Contact Sharon Richter today! © 2018 FocalPoint International, Inc.